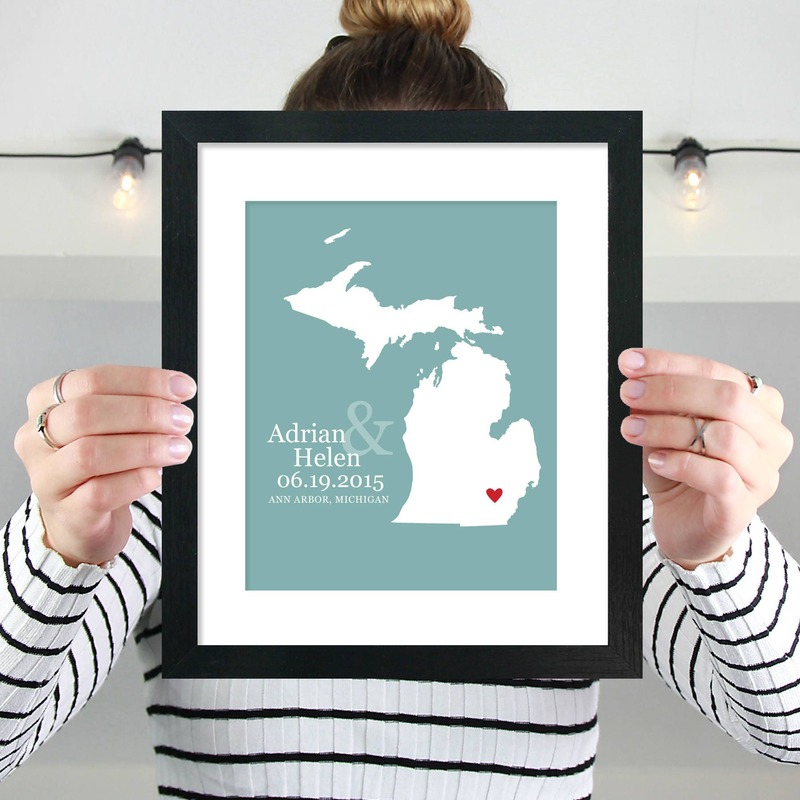 A personalized state map art print makes a great gift! Personalized with name(s), date, and a red heart highlighting the city of your choice, you can’t go wrong! So many of my customers have bought them for wedding or anniversary gifts, but they are also ideal for a child going off to college, a housewarming gift for neighbor/colleague who has moved, or even a new baby gift! I will send a proof via Etsy convos for your approval 2-3 days after purchase. Once approved, your print will ship 2-3 days after that. Each print is professionally printed on 60lb pressed paper canvas using ChromaLife100+ inks and shipped securely. Amazing as always! They loved the gift! Arrived as expected, and the seller was wonderful to work with. Thank you!